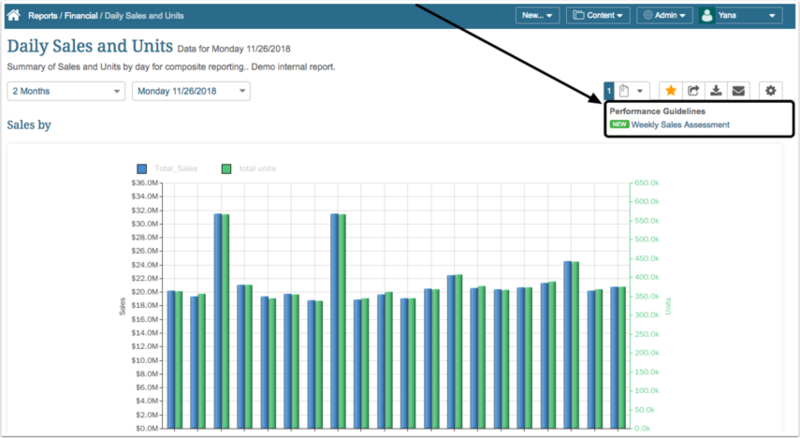 Metric Insights 5.4.0 marks the launch of Announcements and Documents, extends our API capabilities and introduces a variety of plugin changes. Announcements are a re-imagination of our previous Homepage Message functionality, extended beyond the Homepage and into Element Viewers as well. They provide the means to configure important announcements for Users, with the ability to display them only to selected groups of users, or only on Elements built from a specific Data Source, or contained within specific Categories or Folders. Documents provide the ability to attach links or PDF files to associated elements and display them on Element Viewers, or globally (Global Documents). 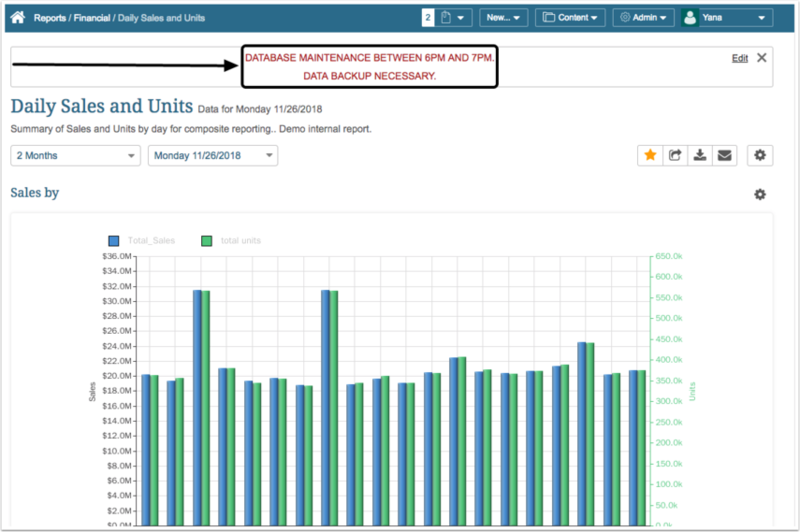 Customers with portal use-cases can now provide resources like release notes and user guides to help their end-users better understand content changes or describe nuances about KPIs and dashboards. Dataset and Data Source API's enable Users to create and edit Datasets and Data Sources via API calls to Metric Insights. 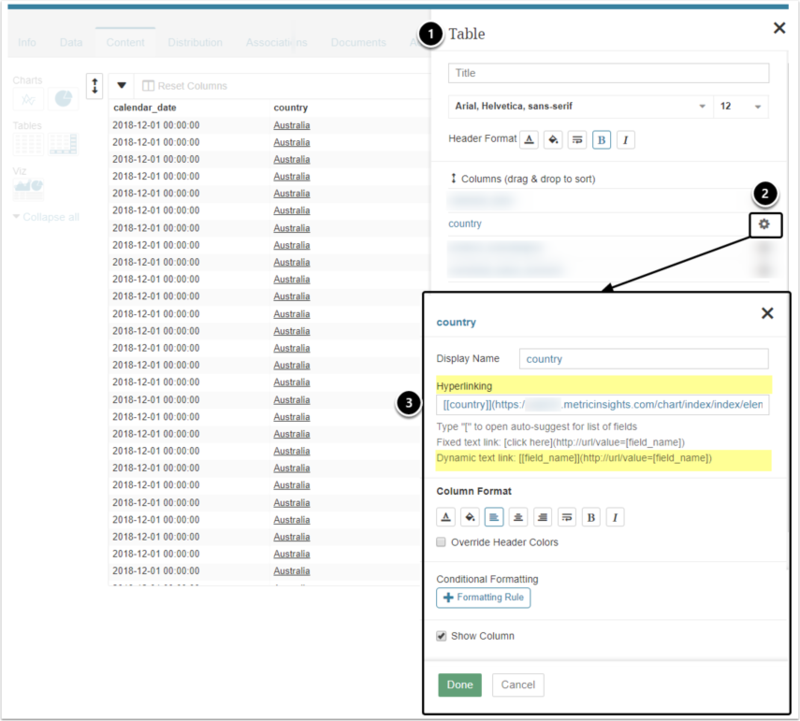 [5.4.1] Data Steward is a new Element ownership role that has been introduced to communicate responsibility for data governance within an organization. [5.4.1] URLs can now be configured to link directly to Dimension Values of Elements, making your most relevant data easily accessible. Announcements introduced in 5.4.0 are replacing the Homepage Message functionality. Documentation can now be added to the Homepage and element Viewers as attached files (currently only PDF format is supported) or links to documents containing any relevant information regarding changes to content, new system functionality relevant to your use-cases, company management, and whatever else you can think up. Information about Data Steward is included in Element Previews, Element Viewers as well as displayed on Homepage Tiles. Any Metric Insights User can access and email a Data Steward with inquiries about an Element. Power and Regular Users must have been granted the corresponding Viewing/Edit Permissions beforehand. Clicking the name of the Data Steward will open you email program. The example below is from the Element Preview. Users can now take full advantage of the new functionality that allows building hyperlinks to the Dimension Values of Elements. This option is available from the Dataset Reports > Content tab. Provided the URL has been configured correctly, Column Values will link to the corresponding Dimension Values of an Element. [5.4.1] A new Power User Privilege overrides the 5.3 Category Edit Access restrictions and allows Power User access to an object editor as long as the user has View Access to its Category. User Type can be automatically set for new Users created via Single-Sign-On (SSO). "All Combinations" option was added for Compound Dimensions. [5.4.1] The number of elements displayed in a Burst has been extended to 50. [5.4.1] The ability has been provided to specify "Metric Insights Default" layout (as an option for pages not shown on the Homepage). Multiple filter selections were enabled for all plugins that support filters. 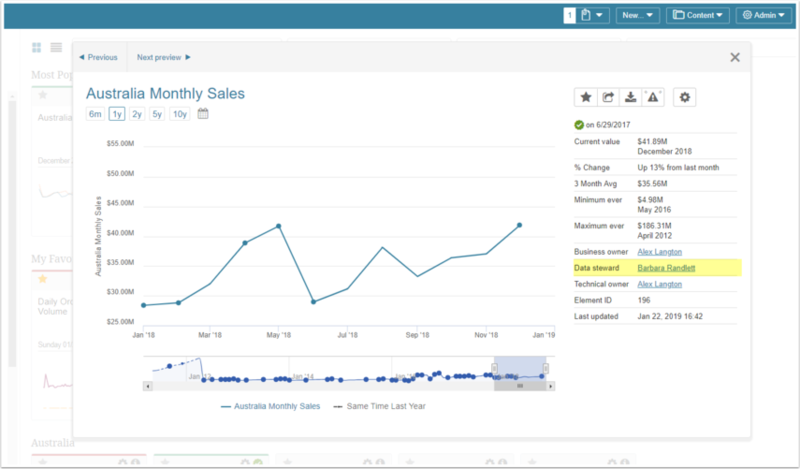 All charting views (including Stoplight and Target) are supported on Homepage and Portal Pages. [5.4.1] Google Analytics: values can now be filtered with the "contains" operator. ZenDesk: plugin was moved to Java. ZenDesk: visual editor was added. Aggregate Metrics do not display future dates. Password is not stored for LDAP Users. When LDAP User setting is activated, password still needs to be reset. Microstrategy: code error during data collection for Microstrategy Cube connection profile. Microstrategy: PDF image is truncated in External Report. 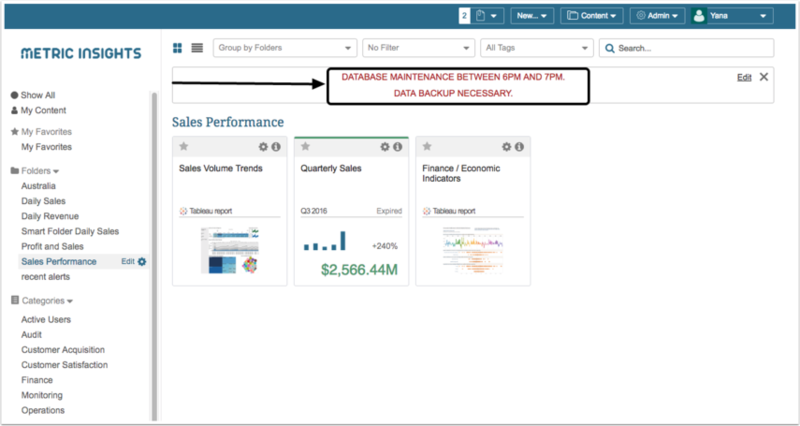 Tableau: External Reports are created with static images instead of iframes at bulk upload. [5.4.1] There are no restrictions on Dimensions that a Power User may choose as a Parent when creating or editing a Child Dimension. [5.4.1] :measurement_time param now works for Datasets sourced from Athena and Snowflake (SQL Data Sources). Special characters in element names no longer cause the "dismiss"(X) icon to be deactivated. Links to external visualization are displayed correctly in Tables on Homepage Tiles. Links in emails now allow opening a Dataset Report in Viewer. [5.4.1] Burst: Preview image can now be generated for very large Dataset Reports. Google Analytics: column sorting in Viewer works as expected. Qliksense: images are now collected for all available values. ZenDesk: aggregating columns or adding derived fields to Reports run error-free. ZenDesk: "Assignee" column validation no longer fails. Android: SAML Authorization Page can now be opened if it is activated on your instance.